Searching for a point of light in your evolutionary journey? 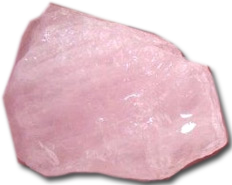 Crystal Reiki as well as various facets of Crystal Healing reactivate and bring clarity to your energy matrix. It is the energy matrix defined as the combination of Chakra Centers & Aura which create the reality of your physical body. If you are ready to get to the heart of the matter, willing to explore & release patterns that interfere with the life you want, and desire to express your truth then a Crystal Vibrational Healing Session or Atlantean Healing/Soul Retrieval Session is recommended. The session requires you to be present and honest about what’s going on with yourself, and be open to receiving, whatever information or transformation that is going on. You will come away knowing and feeling that with your permission something just happened, even if you’re not consciously sure what. Utilizing the amplifying energy of crystals combined with Divine Intuitive Right; Dianna is able to empathically feel, hear, and see where blockages have become entangled in your energetic field, and works with the elemental tools such as crystals and essential oils as Spirit guides to balance these areas allowing you to release, shift, & evolve.